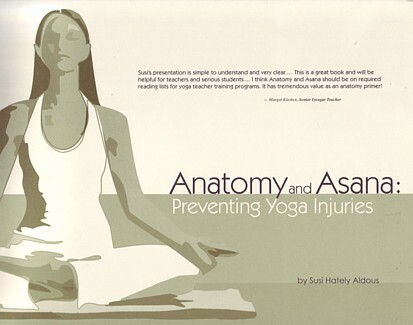 Anatomy & Asana offers an easy and successful method to learn anatomy and its relationship to yoga in a way that helps prevent injuries. It is written by a certified yoga teacher with a diverse background in kinesiology, ergonomics, and physical rehabilitation. Anatomy & Asana answers many practical questions that are often asked by yoga students - about back pain, knee pain, and shoulder pain; about clenching the buttocks in back bends, and how to release the hamstrings or prevent hamstring tearing in forward bends. The book combines hands-on information with illuminating drawings, stories, and helpful tips to show you how to practice yoga with less pain. It informs without overwhelming the reader with too much information. Anatomy & Asana is divided into four parts: basics of anatomy; language of anatomy and movement; the eight essential principles of movement as they relate to yoga; and application of these principles to specific groups of yoga asanas: standing poses, back bends, forward bends, twists, and inversions. For each group, the book shows where there is a tendency for injury and what you can do to instill space in your body and thereby prevent injury from occurring.